Turn your desire to sculpt into your very own one-of-a-kind doll with this easy to follow sculpting tutorial. This DVD is better than going to class! The detailed close-ups allow you to see exactly how the artist creates each and every part of a baby's face like you were looking through a magnifying glass. This attention to fine detail makes it easy for you to reproduce what you see on the screen. The sculpting training DVD takes you from start to finish using the Sculpting Form. The Sculpting Form is like a skull and works to make sure your feature placement is accurate. Our tips and tricks make it easy for you to avoid common beginner mistakes. 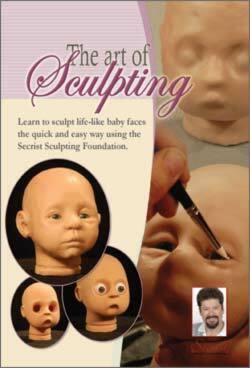 Even if you have no prior sculpting experience this DVD will teach you how to sculpt a baby face. Follow along with the DVD as Vicki Reid uses the form to create a newborn baby head in just over 60 minutes. Watch and learn as she demonstrates what Clay Shaper tools to use and how to use them. If you want to know how the pros sculpt, and become a pro yourself, then this is the video for you! Once you've sculpted your baby, don't forget the vinyl limbs and cloth body. Paint the head and limbs using our foundation paint to achieve a symmetrical flesh color. 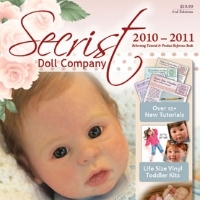 Clay Shaper Tools are used in this DVD and are the recommended tools for all baby sculptors. While other tools will work, the best results usually come from the Clay Shaper Tools. Notice: Due to copyright protection all DVDs, Special Technique Tutorials and all technique guides are non-returnable. These products may not be returned for a refund. Defective products may be exchanged only (no refunds or credits) for exactly the same title returned.